For my fellow Potterheads, the magical world of Harry Potter sounds like a perfect escape—the witches and wizards, the butterbeer, the quidditch tournaments, the spells to complete almost any unwelcome task, the fabulous food choices available in Hogwart’s Great Hall! 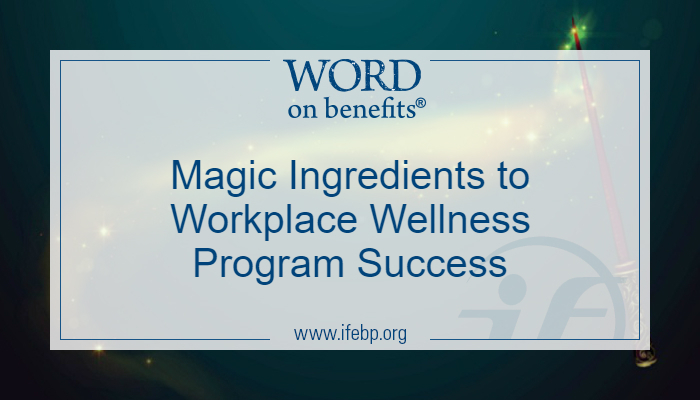 As we mere muggles snap back to reality and realize life isn’t as easy as accio, a recent survey report revealed two magic ingredients to conjure up a successful workplace wellness program. The International Foundation of Employee Benefit Plans discovered two practices that stood out in its latest survey report, A Closer Look: 2017 Workplace Wellness Trends. Those organizations that 1) have involvement and support from organizational leadership and 2) offer stress management programs yielded more successful results across the board—from noticing a positive impact on health care costs to high employee participation rates. The report examined the prevalence of specific actions that successful programs are taking to positively impact workforce measures and compared that prevalence to the occurrence of these same actions among wellness programs that are not as successful. Survey results clearly identified the importance of senior leadership (your organization’s Dumbledore, if you will) involvement in wellness initiatives. 57% of organizations experiencing a positive impact on health care costs involve organizational leadership in their programs, and 54% have organizational leadership communicate wellness information to employees. Among those with less successful programs, only 36% have organizational leadership involvement, and 37% have leadership that communicates wellness support. 53% of organizations experiencing a positive impact on health screening data have organizational leadership communicate support for wellness efforts to staff, compared with only 36% of program sponsors with less successful programs. 63% of organizations experiencing a positive impact on employee engagement and satisfaction work with organizational leadership for their wellness program, but only 37% of organizations with less successful programs do so. 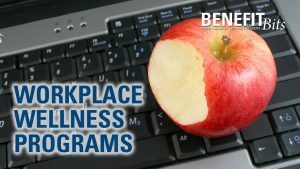 Learn more about what’s working in wellness plans and how to avoid common pitfalls when implementing them in the workplace in this Benefit Bits video. Whether a workplace wellness program is taking a more holistic approach or focusing on cost savings, this report distinctly revealed that it’s not only leadership support, but more specifically, leadership’s communication of the program to staff that is critical for program success. Having organizational leadership communicate support for wellness efforts to staff was a strategy shared by workplaces with above-average participation rates for several initiatives but is less common among workplaces with below-average participation rates. These initiatives include nutrition programs (63% vs. 41%), fitness programs (60% vs. 31%), wellness seminars (53% vs. 38%), health fairs (53% vs. 34%), health screening programs (52% vs. 30%) and flu shot programs (49% vs. 36%). Get a comprehensive overview of workplace wellness with the Workforce Wellness online course. 45% of organizations noticing a positive impact on health care costs encourage stress management programs, but only 21% of organizations with less successful programs do so. 43% of organizations experiencing a positive impact on health screening data offer stress management programs, compared with only 26% of those with less successful wellness programs. 53% of organizations experiencing a positive impact on employee engagement and satisfaction offer stress management programs, but among organizations with less successful programs, the prevalence is only 21%. Other employee engagement offerings prevalent among successful programs include on-site meditation/mindfulness programs (41% vs. 18%), a website dedicated to wellness (68% vs. 26%), nutrition counseling (63% vs. 32%) and wellness competitions (83% vs 55%). 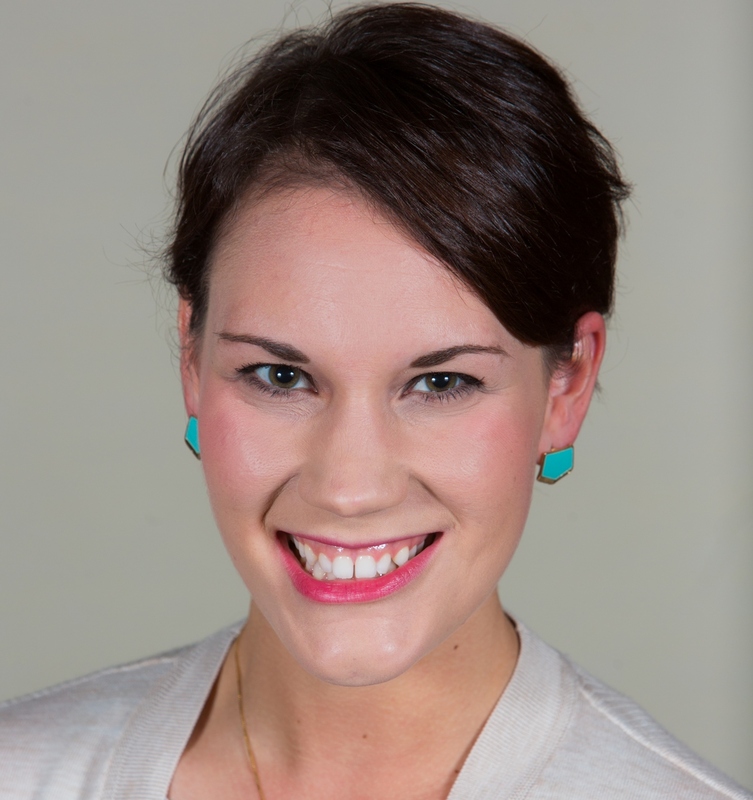 I hope this has inspired you to add a little magic to your workplace wellness program. To access the full survey report, visit www.ifebp.org/wellnesscloserlook.